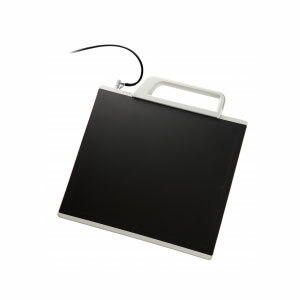 The lightweight and cable free operation of the AeroDR® wireless digital flat panel detector system allows for easy patient and image detector positioning while reducing patient discomfort and stress during portable procedures. 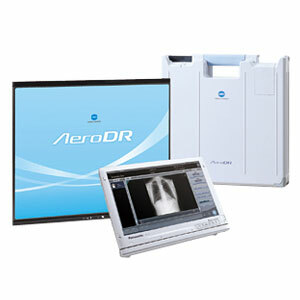 The AeroDR portable imaging console allows for the ability to QC the X-ray to determine if re-exposure is needed prior to leaving the patient’s side. The built in AeroDR roaming feature allows any AeroDR panel to be shared between portable use as well as in other general radiography rooms. 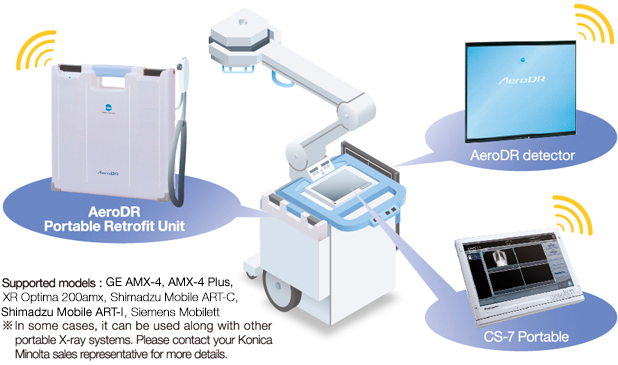 The design of the AeroDR also makes it ideal for use in surgery and operating room environments. 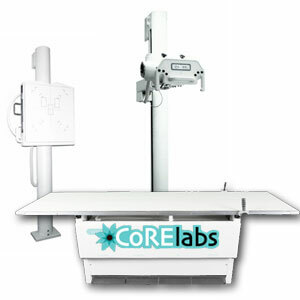 The CS-7 portable control station features the same powerful yet easy to use imaging software environment as found on the CS-7 control station used in general radiography rooms. 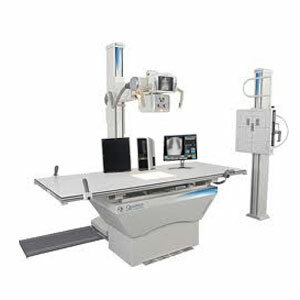 This common user interface delivers a familiar tool that ensures the same outstanding image quality and usability regardless of imaging application. 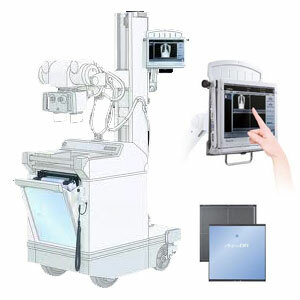 Image preview is delivered in approximately 3 seconds and can be viewed prior to leaving the patient’s side. The CS-7 portable controller can be mounted onto supported portable units using the supplied custom mounting hardware. WHAT IS THE AeroDR® PORTABLE RETROFIT UNIT? The AeroDR® Portable Retrofit unit has been designed to quickly, easily and economically turn your current portable X-ray unit into a digital wireless solution. 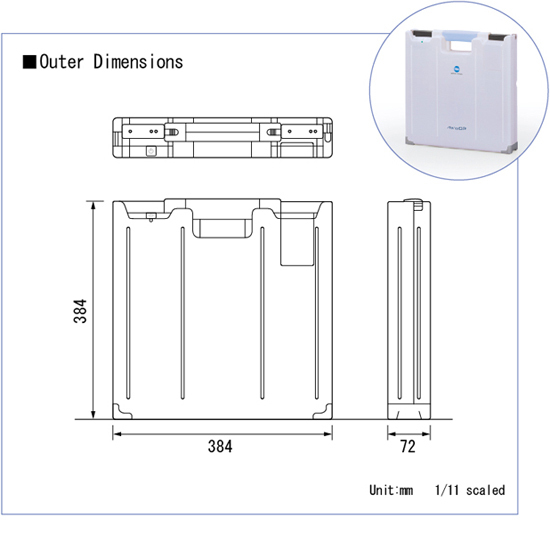 This unit has a very small footprint (384mm x 384mm x 72mm) and is small enough to be installed and stored inside the cassette storage bin. It is completely self-contained and includes two long life batteries for self-powering operation. The CS-7 portable control station features the same powerful yet easy to use imaging software environment as found on the CS-7 control station used in general radiography rooms. 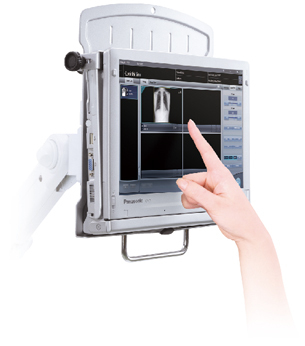 This common user interface delivers a familiar tool that ensures the same outstanding image quality and usability regardless of the imaging application. Image Display Speed Preview display speed: approx. 3 sec. portable application and other major CS-7 functions.